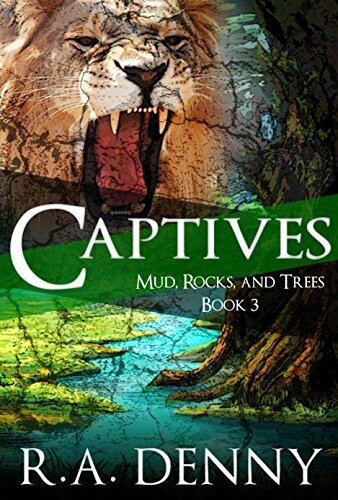 In Captives, they find themselves caught up in forces beyond their control, can the three young deliverers break free to find each other? The city on a hill in the center of the empire dazzles in the sunlight. The rich and powerful citizens live luxurious lives. But for those who arrive as slaves, refugees, or spies, it is a foreboding place. And it is on the verge of war. “Beware the Gates of Hell!” the wise man warned. Gates open. Some lead to the depths of the underworld. Some to the bottom of the sea. Some to the heights of power. Caught up in forces beyond their control, can the three young deliverers break free to find each other? Or will they lose their way? Book Three in this exciting series is just as good if not the best in this series thus far. In this book, everything centres around the city of Tzoladia – a city of weird noises, hatred, misunderstanding, slavery and strange ways. Our three main characters (with one minor twist) begin to intertwine with each other in a unique manner that leaves you craving for more. Our story begins with Brina is sold into slavery, her peaceful people who do no harm to anyone are forced to watch and stand naked in front of the citizens of Tzoladia while they are sold off one by one. You can just imagine the shock and horror along with the sense of betrayal they are feeling at this point. Families are completely torn apart, children were murdered all for something none of them can understand in this foreign city. Brina is saved by an unlikely hero, one whose life she has saved herself and we can start to see something beginning to form between these two very different individuals, something which I am very excited to see how it unfolds! Amanki is recovering emotionally from the horrors he saw and was part of in book two. He is sent to hide with a secret society while his teacher goes off to find the other characters to bring them together. He thought his life would be safe there but nothing is always as it seems as there is an evil plot underway for the complete annihilation of the webbie people and he is sent with his people to fight a war for a King who despises them. Now Moshoi’s story seems to have taken a big turn as he is now assumed dead in the rock slide from Book Two. His younger brother has taken up his cause to deliver the jug to Amanki and save the world. He just never realized how dangerous the cause would be! I fell in love with the plot development – we learned so much about our characters in this book and their stories began to intertwine in such a unique way that you can feel the height of the story beginning to start. I have become so invested in the characters and want to see them through their journey safe, especially Brina. I love her strength and courage, she has become my favourite character in this series with her vulnerability and strength. 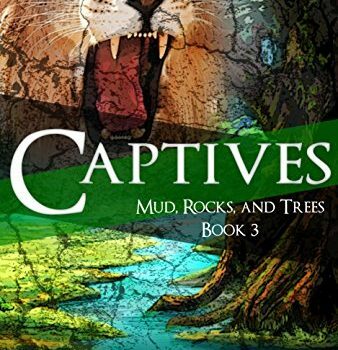 Captives is a great book for young adults and adults alike. You can learn more about Refugees Book One here and Seekers Book Two here. You can purchase a copy of this book on Amazon.